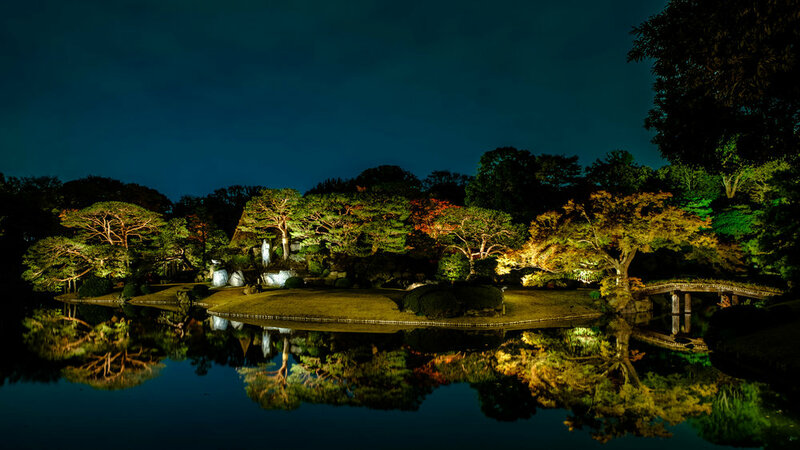 In November 2018, Rikugien in Tokyo’s Bunkyo ward once again lit up for autumn. It is one of my favourite seasonal events in the city. Unlike the previous year when we had perfect weather, this time it was quite overcast. And this time I was able to visit the park on a weekday and was very pleased to discover that the park was not crowded at all. With hardly any people there I thought I was going to have a great time that night! With no huge crowds like previous years I was under the impression that I would just be able to make a leisurely circuit of the pond, set up my tripod where ever I saw fit and take pictures. Unfortunately that didn’t last too long as one of the security guards eventually came up to me and said that tripods weren’t allowed in the park. That was quite a shock because that was the first time I had ever heard that they were banned. Still I did get some shots with the tripod before it had to stop. But for my visit the trees weren’t exactly at their best as this autumn was quite warm which explained the lack of colour in the trees. So some areas were looking fairly green while others had some nice red in them. 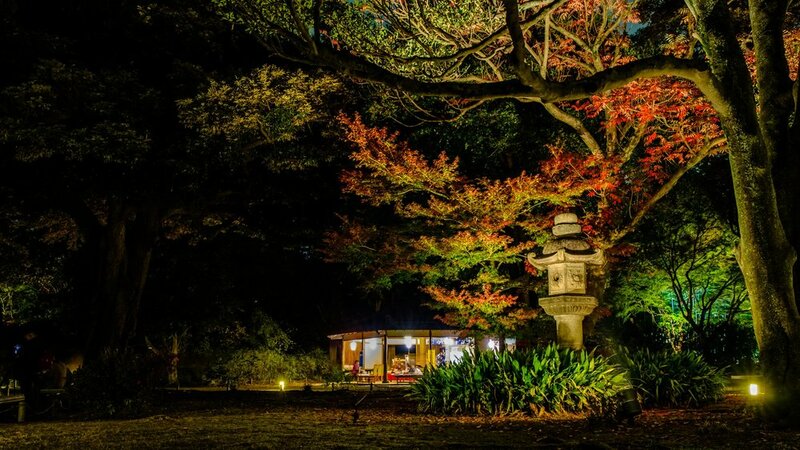 Even though the colour was a little lacking, walking around Rikugien under lights is always so surreal. Many parts of the park looked very ghostly. The paths around the pond as always were a little dark to walk on, with the lights used to light the trees it was enough to walk on safely. In the end, not being able to use a tripod for every shot was quite a bummer. It meant I had to do many shots handheld with a very high ISO. Of these shots, I think most were used with about an ISO of 5000 or 64000. It was pretty bad. Adobe Lightroom noise reduction helped out enormously, but I wish things had turned out slightly differently. Hopefully you enjoyed the pictures and if you have any comments or question, please let me know by leaving a comment in the section below. 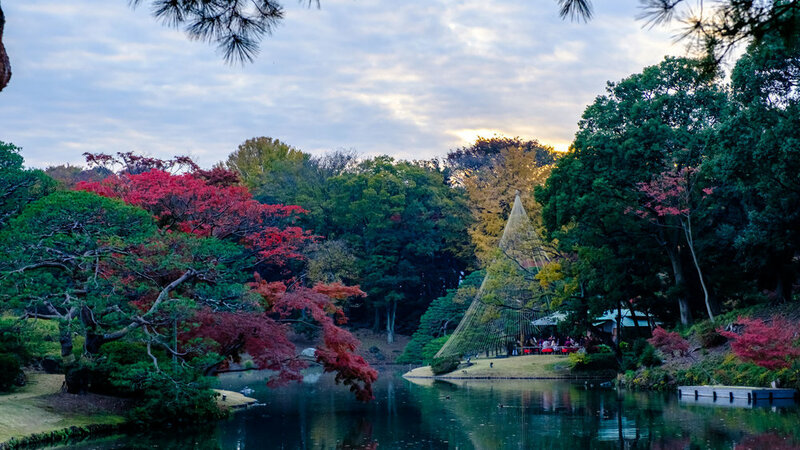 If you want to learn more about the park you can check this article here. 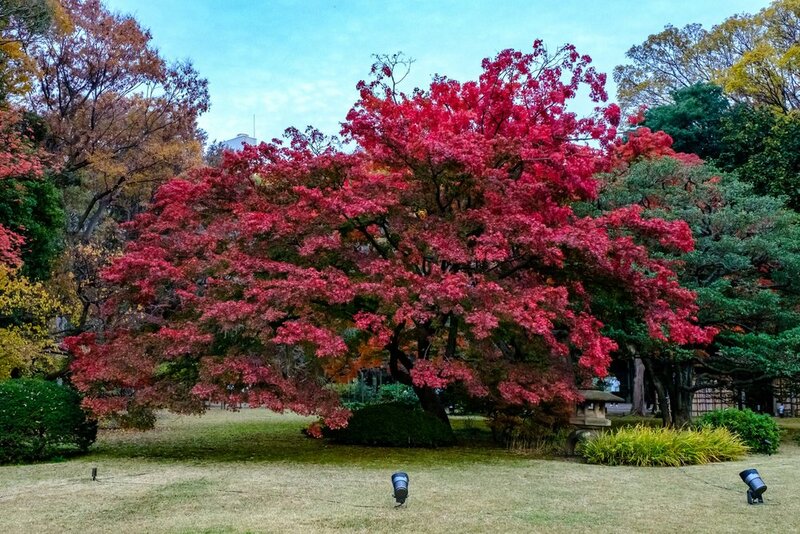 The website for Rikugien Gardens can be seen here.